Today is the first anniversary for Keep It Thimble! I want to thank all my readers – you’ve helped me keep this going! I look forward to doing this another year :). 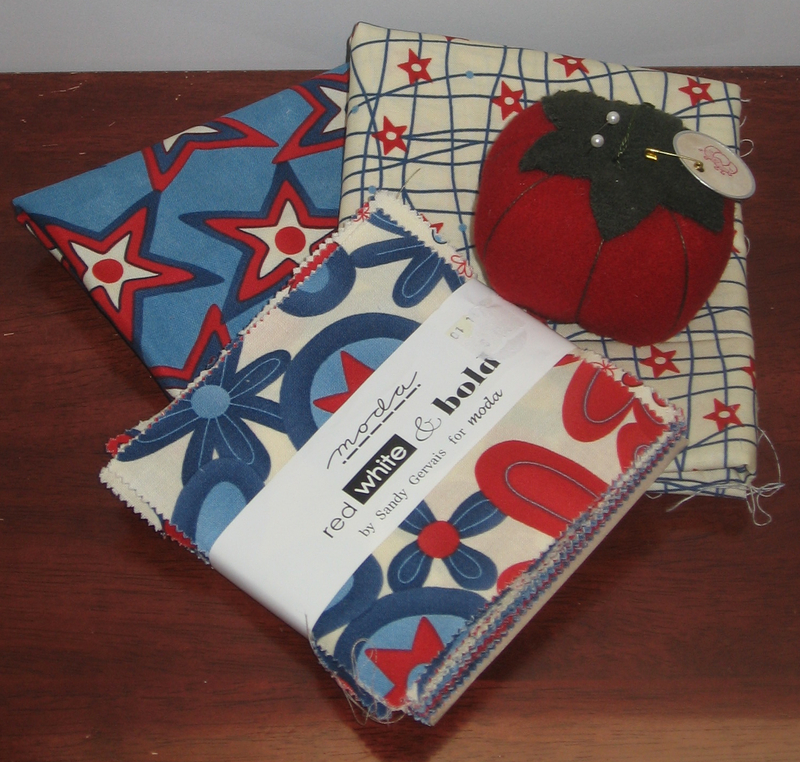 A Red, White and Bold charm pack, coordinating fabric (1/2 yard each), and a tomato pincushion (handmade by yours truly!). To enter, just post a comment below – simple! The contest closes at 8pm (ET) this Sunday, and a winner will be randomly chosen on Sunday night. pick me, pick me, pick me, pick me, pls. Mrs B! I guess you scared everyone else off, you are the winner of the giveaway :). I will give you your stuff the next time I see you.